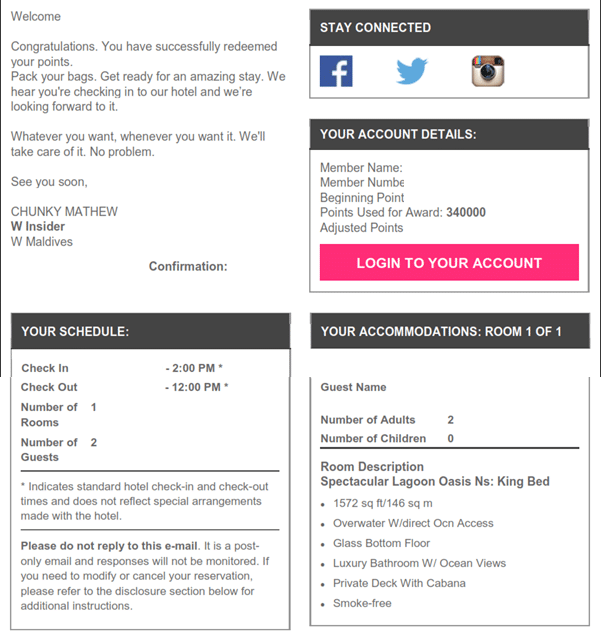 What did I win in the Starwood-Marriott merger day lottery? 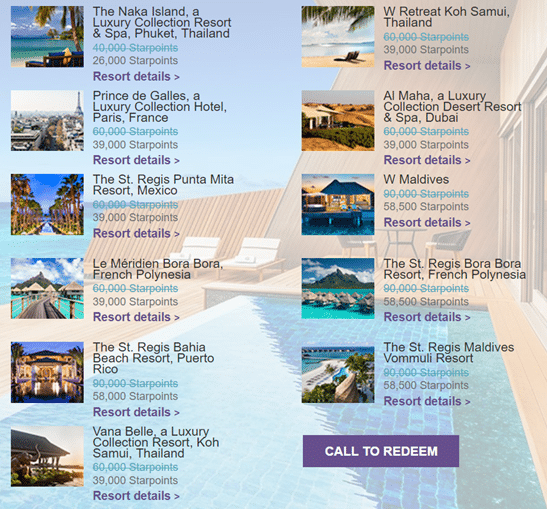 6 Comments on What did I win in the Starwood-Marriott merger day lottery? From now till the end of 2018, some of Marriott/Starwood's best properties can be booked for way fewer points than normal. The Starwood-Marriott merger may have been one of the worst-botched IT integrations in corporate history, but it’s also created one of the best points redemptions opportunities in recent memory. Even at 35% off, those prices were really steep. 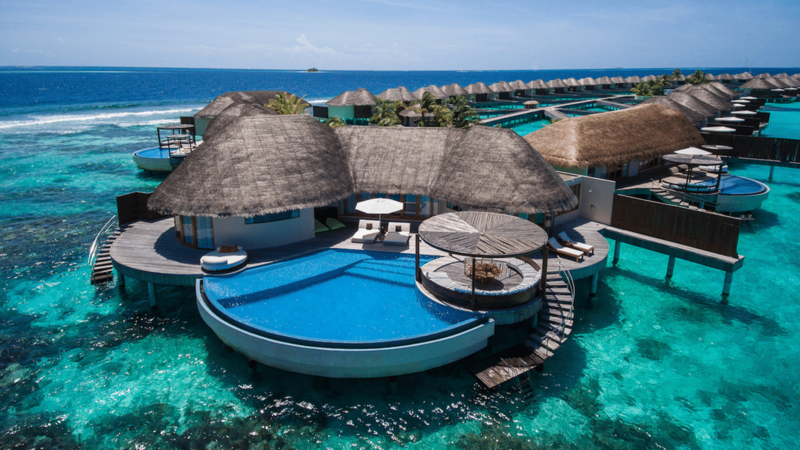 58,500 SPG points a night for the St Regis Maldives? 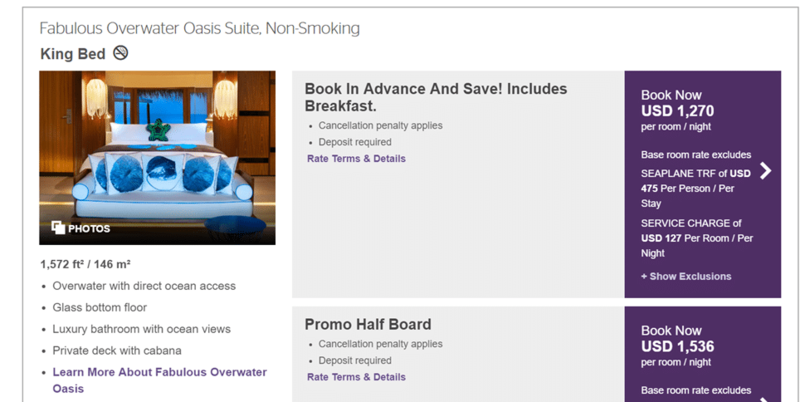 39,000 SPG points a night for the Vana Belle? 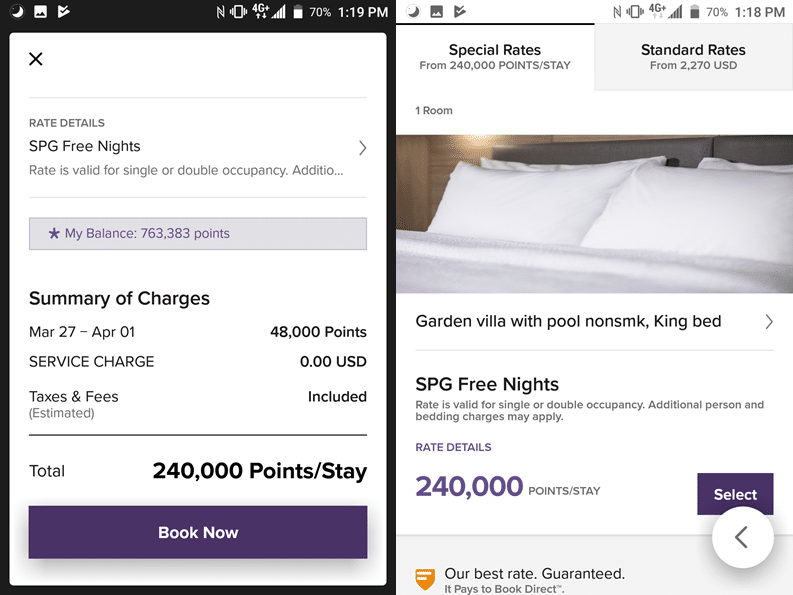 When you considered the fact that regular/elite members in SPG earned 2/3 SPG points per US$1, you were looking at a whole lot of spending to earn a free night at the discounted rates, never mind the regular ones. For those of us in Singapore who couldn’t earn SPG points via credit cards, these properties were just a pipe dream. But all that changed in August 2018 when SPG and Marriott merged and a new, eight-tiered award chart was put into place. This created an amazing limited time redemption opportunity, because Category 8 and peak pricing only get introduced in 2019. Until the end of 2018, Category 7 standard pricing is the highest any property goes. In other words, the base room at any Marriott/Starwood property costs at most 60,000 points until 31 December 2018. 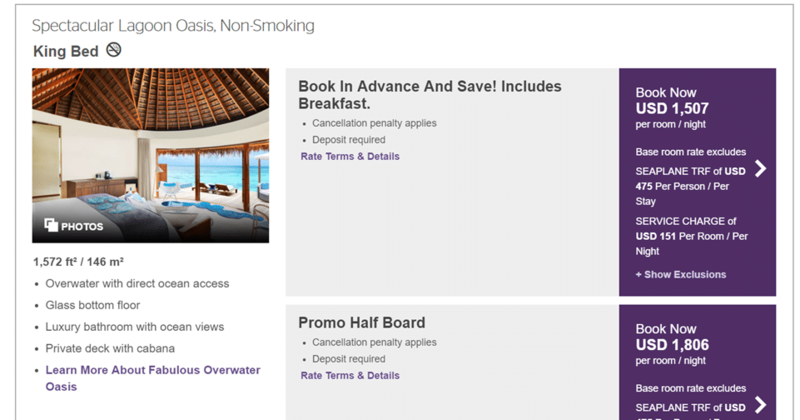 It gets even better when you remember that in August, SPG points were converted into Marriott points at a ratio of 1:3. Therefore, the most expensive property in the Starwood portfolio went from 270,000 points (90,000 SPG) to 60,000 points. There was blood in the water, and on merger day every man and his dog was jamming up the website, app and phone lines trying to snag this once-in-a-lifetime opportunity. I wanted the St Regis Maldives, but unfortunately so did everyone else. Who can blame them, when a US$2,000 room was up for grabs at 48,000 points a night (60,000 per night with the fifth night free)? …only for the app to error out at the final step with no booking made. 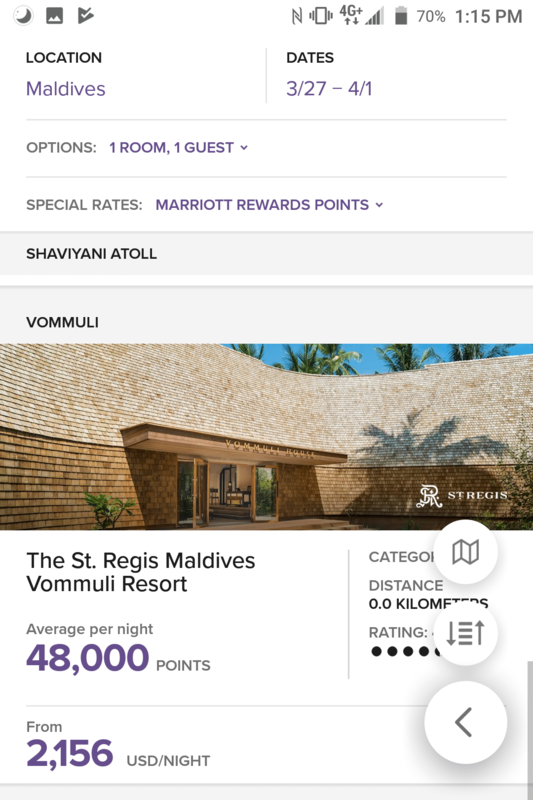 Meanwhile, I was reading reports on TPG of annoying(ly successful) people like Zach Honig snapping up the St Regis Maldives at 48,000 points a night. There is something else meaningless that occurs on earth: the righteous who get what the wicked deserve, and the wicked who get what the righteous deserve. This too, I say, is meaningless. 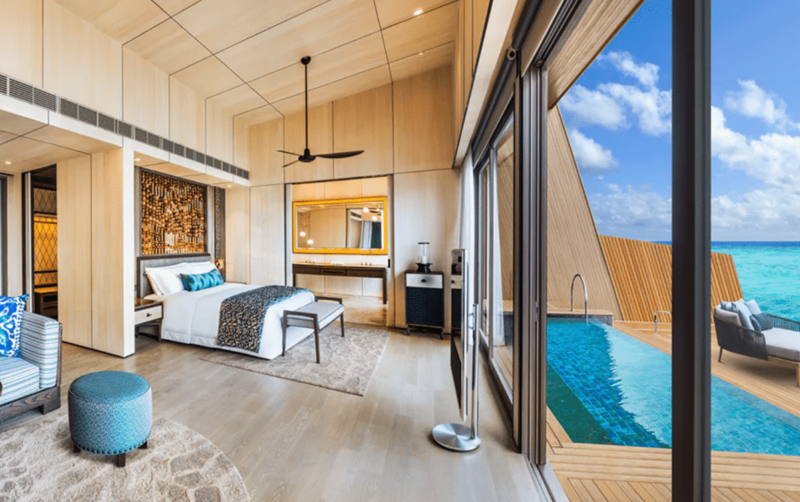 The base room at the St Regis Maldives is a garden villa, but some people were able to book overwater villas for 68,000 points a night (85,000 per night with fifth night free). As it turns out, this was a glitch in the system. Overwater bungalows are supposed to price at 170,000 points a night (before fifth night free). However, existing reservations will be honored at the quoted rates. My ex-colleague managed to bag one and non-discreetly waved her triumphant email confirmation in my face. Before the St Regis opened, the W was undoubtedly the must-go Starwood property in the Maldives (to be fair, the Sheraton Maldives wasn’t much competition). Although the property is more than 12 years old, it’s been well-maintained and is still widely regarded to have one of the best house reefs in the Maldives. In contrast, everything at the St Regis is spanking new but that comes at an ecological cost. 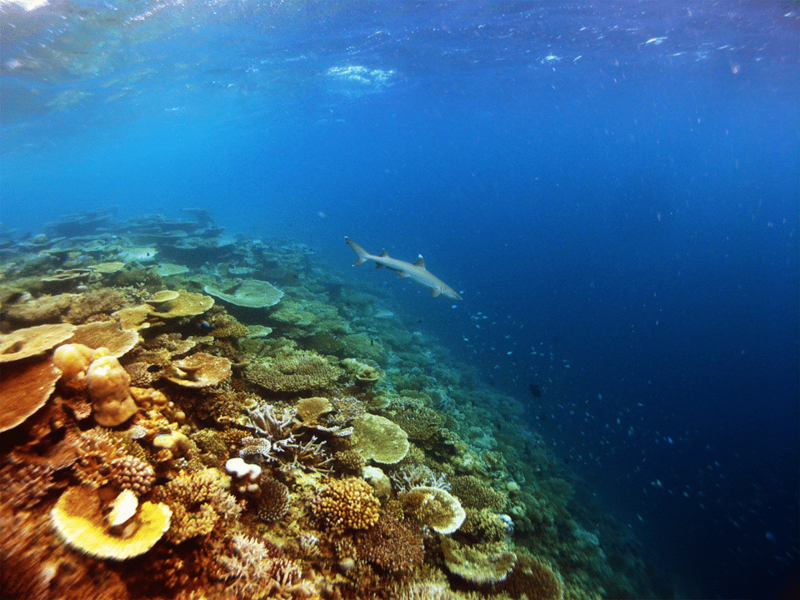 The construction of the property has damaged the nearby reefs, and it takes a few years for the ecosystem to recover. Moreover, according to reviewers who have stayed there, the beach at the St Regis has a problem with broken coral bits which litter the landscape and make walking painful. I expect these are teething problems and will disappear after a few more high/low season cycles, but it’s not all good over there. 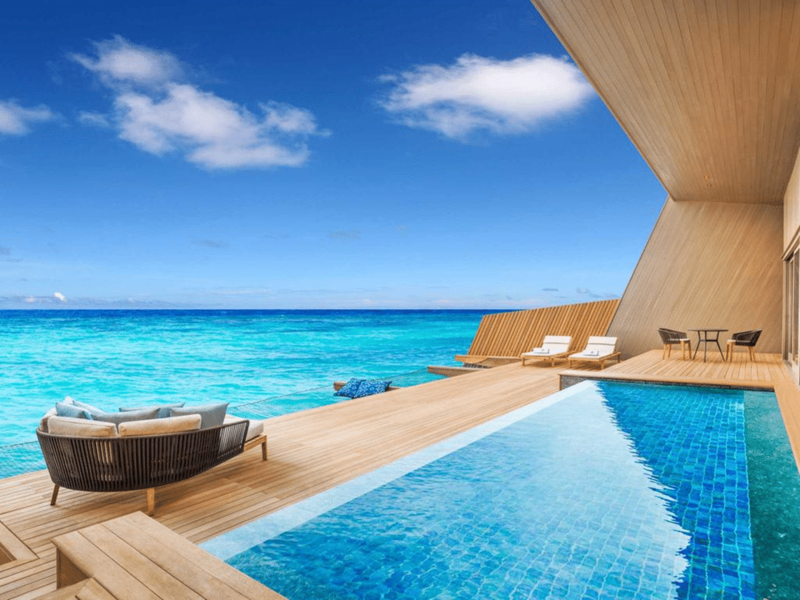 Like the St Regis, the W Maldives was offering beach (base) villas for 60,000 points a night. But just like the St Regis, the W also had an error with the pricing of its more expensive overwater villas. Overwater villas which should have been pricing at 170,000 points a night were available at 85,000 points a night, which is how I got my Spectacular Lagoon Oasis locked in at 340,000 for 5 nights. For the dates I was looking at, these rooms were going for ~US$1.5K a night, before tax. What’s even more awesome is the Spectacular Lagoon Oasis is one step up from the Fabulous Overwater Oasis, the “standard” overwater villa that the W has. The main difference between our Fabulous Lagoon Oasis & Spectacular Ocean Oasis is the location, the Ocean Oasis is facing the Ocean & W Maldives private island therefore you would have less snorkeling to do on this side. The Lagoon oasis is surrounded by the calm turquoise waters and would be perfect for snorkeling straight from your retreat. If you haven’t started locking in your reservations for 2019 yet, there’s still an opportunity to bag some of Starwood’s most glitzy properties for less. Take a look at the list of properties by category here, and pay attention to which ones are moving up to category 8 next year. Then book them before year end (you can book rooms about a year in advance) to enjoy a lower redemption cost. I don’t know if Marriott will run another points sale before the end of the year, or what price they’ll sell points at if they do. I hope you were able to load up on points during one of the previous sales, because if you were then you’ve got some good hunting ahead of you. You were served by CHUNKY MATHEW??? Yes, but are all of them as chunky as CHUNKY MATHEW? 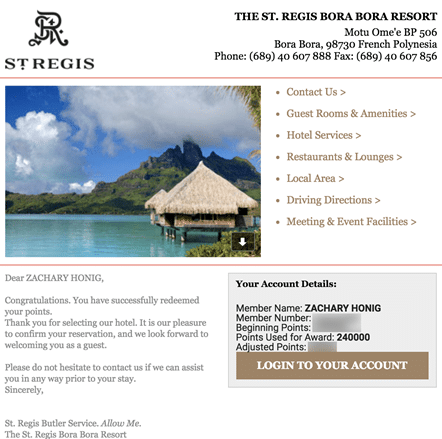 Zach Honig reserved at St Regis Bora Bora Resort according to your photo.